Schreiner is a luxurious book offering a first concise history of one of the foremost designers of high-end costume jewelry, a genre of jewelry popularized by Coco Chanel and today one of the most collectible. Created in New York City by founder Henry Schreiner in 1932, the eponymous company flourished during the early 1940s. During the 1950s under the leadership of Henry's daughter, the company's unusual color combinations, hand-made settings, and use of custom-made stones set them apart from their contemporaries, leaving behind a legacy for jewelry experts and admirers to study, covet, and collect to this day. For thousands of collectors of Schreiner worldwide, Schreiner provides valuable insight into their collections from the family itself, for the first time. With hundreds of breathtaking photographs, the breadth of the Schreiner oeuvre is explicated, from the somber years of the Great Depression through the rise of the American ready-to-wear industry. Buy Schreiner by Carole Tanenbaum from Australia's Online Independent Bookstore, Boomerang Books. 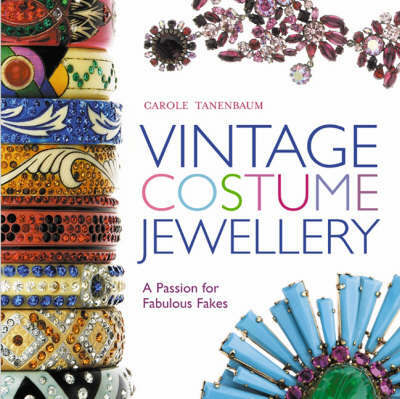 Carole Tanenbaum is a passionate collector and connoisseur of vintage costume jewelry. Over 30 years, she has amassed one of North America's premier collections of costume jewelry totaling more than 30,000 pieces. Her jewelry, sought after by clients around the world, has been showcased in many boutiques and luxury department stores as well as in films and high fashion editorials. Carole lives in Toronto, Canada with her husband, Howard, spending part of the winter at their Palm Beach residence. Eve Townsend holds an MA in Fashion from Toronto's Ryerson University, where her research focused on the history of costume jewelry and its relation to the democratization of fashion. In support of this research, she was awarded an Ontario Graduate Fellowship (OGF) and a Social Science and Humanities Research Council Grant of Canada (SSHRC) for her thesis project: Searching for Schreiner: A Detailed Investigation of the Schreiner Jewelry Company c. 1932-1975. Eve continues to research, write, and lecture about jewelry and fashions from the Victorian era to today. She lives in Toronto, Canada with her husband, Curtis.